As with most other custom and consumable goods that you buy, you should consider what you are trying to achieve when determining your boat’s canvas needs. Are you looking for function or fashion? When it comes to canvas, the majority of boat owners want both function and fashion because they want their boat to display clean lines and they want to maximize their boat’s usable deck space. When making choices on marine canvas, whether it is a bimini, dodger, enclosure or anything else, it helps to have input from a professional. 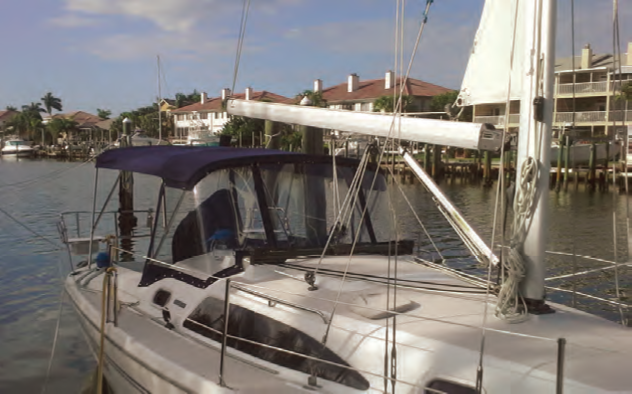 Many boat owners consider fabric the most important part of their decision, however, thread and fabrication are equally important to how your canvas will hold up over time. When considering fabric, you should consider not only its color but also its opacity, weight and durability. Color is important from an aesthetic point of view, but also in how it holds up in various elements, including but not limited to where the boat is stored, what weather conditions it will need to hold up in, and the functionality it serves on the boat. When researching and making choices on thread, consider whether the material is UV resistant, how it will hold up in various conditions, and its ability to strengthen and sustain the fabric it is used on. Additionally, when considering fabrication, determine the type of seams that will be created, as well as the hardware and fastener choices of your fabricator. You will also want to consider the hardware that will be required on your boat, where it will go, and whether you will be pleased with how it changes the look and feel of your boat. It is best to ask the fabricators the questions during your research and planning phases before you choose one over the other. Also, setting the right expectations with your fabricator means you are more likely to get the custom product exactly the way you want it. 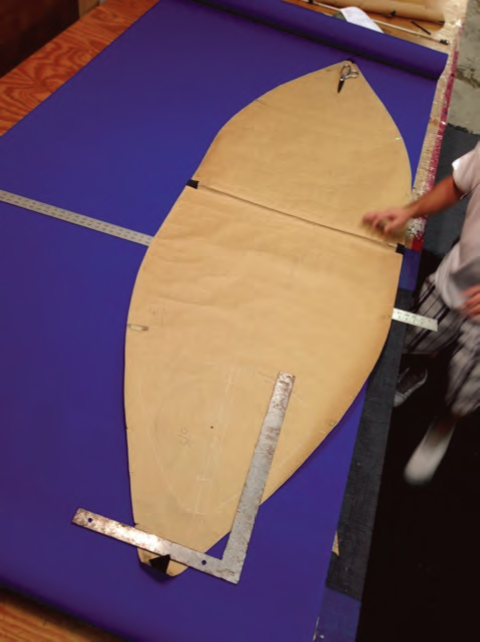 Beyond fabric, thread and fabrication, additional considerations when determining the right marine canvas for your boat include weather, storage, and boat usage. Weather and storage can go hand-in-hand in that if your boat is stored outside in a cold climate, your canvas will need to be able to withstand the elements. 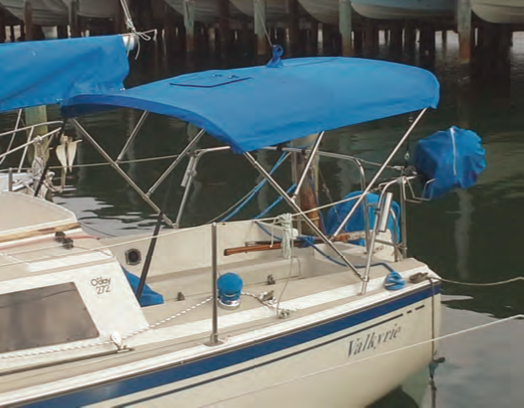 No matter what weather your boat is exposed to, you should consider whether the canvas is able to withstand ultraviolet radiation, rain, snow, wind or other natural elements, or if it will need protection. There are many materials that are UV and UVB resistant and will last many years before deteriorating. It is best to consider solution-dyed acrylic materials that will hold up longer than some other fabrics, such as Sunbrella® marine fabrics. Weather and storage need to be heavily considered in relation to your canvas needs. Keep in mind that lighter colored materials will reflect heat, while darker materials will produce and retain heat. Fabricators are familiar with how materials hold up, what types of materials are best, and what other boat owners have experienced after making their marine canvas decisions. How and when you use your boat is another big consideration. If you are a cruiser, it is likely you will want to consider shade. If you have a speedboat, you may have other considerations such as the aerodynamics of your convertible top. • Where will the bows or support bars be? Placement of the bows and support bars can have a significant impact to getting on and off the boat as well as how well you and your guests will be able to stand under the canvas. • Where will the zippers be placed, and how many are needed? Zipper placement is crucial for how well you can get the canvas on and off the boat, and how the canvas looks aesthetically. • What type of glass should I choose? Your choices are strataglass, roll glass and makrolon. Ask your fabricator what will work best for what you are trying to accomplish. While some are more expensive than others, spending more money doesn’t necessarily mean you’ll get what you want or what you need. Whichever type you choose, consider putting window covers over it. Covers will make your glass last longer and protect the glass while you are using your boat and storing the window panels. • What type of hardware should I use, and why? Depending on your boat’s layout and some of the tight places you may need hardware for your marine canvas, your choices could become limited. However, carefully consider how your canvas will be used and how and when you will be removing the canvas. Fasteners can make a big difference, and can save you time and energy getting the canvas on and off your boat. Consult your fabricator or read about your choices online before making a decision. 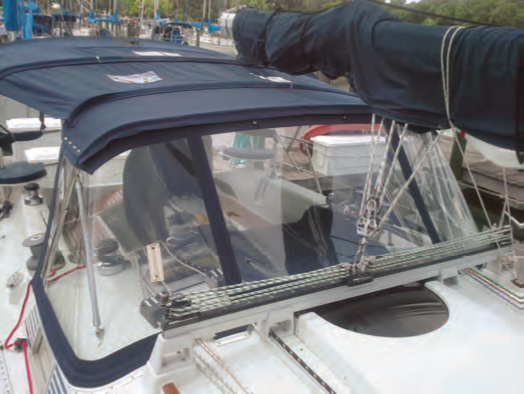 It may seem that making choices about your marine canvas are overwhelming but with a little research, some guidance from your fabricator, and understanding how you and when you use your boat, you’ll be able to sort it out fairly easily. Consider your choices, but don’t overthink them. Sometimes it is best to get lots of input from various sources, but only you know how well you enjoy your boat and the details of how you use it. Don’t be talked into the wrong decisions because it is easier for your fabricator. Use their guidance to inform what you already know!